Who doesn’t know Gordon Ramsay, right? The Scottish-British celebrity chef that brought Hell’s Kitchen, Kitchen Nightmares, and the renowned MasterChef among others gave new meaning to life in the kitchen. Over the years, he has been the face of many cooking reality shows that has shown the world what it takes for ordinary people to become master chefs too. What set Ramsay apart from other famous chefs is that his fiery temper is a force to reckon with. Aspiring chefs turn pale every time he shouts, curses, and loses his temper in the kitchen. While his personality isn’t exactly the nicest, people aspire to get complimented by him when it comes to their cooking. His restaurants are sought after in the UK and now he has set his eyes to expand on American soil. 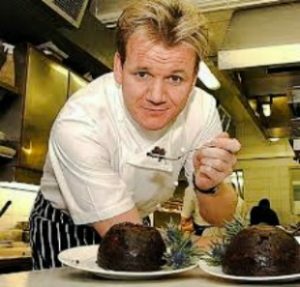 Ramsay is set to open six new restaurants in the US although we are not yet privy to the details. For sure, Americans are eager to have a taste of his culinary masterpieces, a welcome change from the usual fast food staples in the country. Ubiquitous curse word connoisseur Gordon Ramsay is planning to open six more restaurants in America, including venues in New Orleans and Baltimore, where he currently has no footprint.